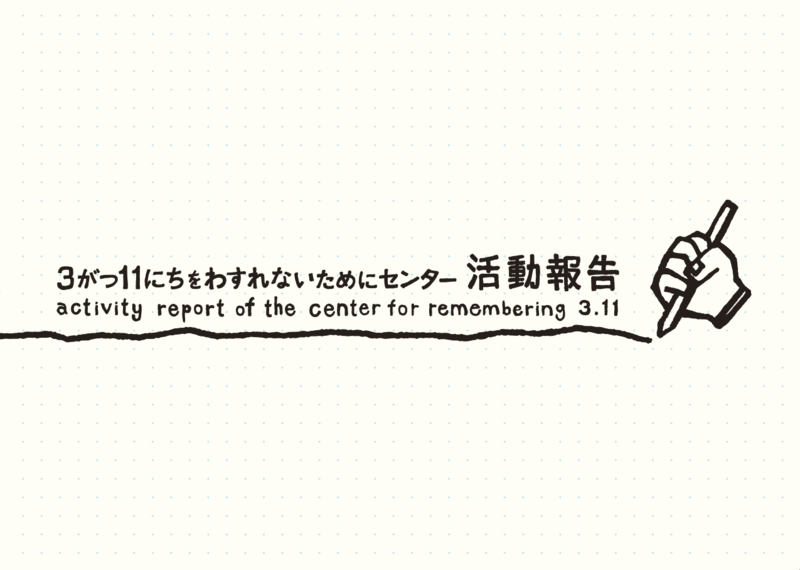 We are pleased to announce the release of "The Activity Report of the Center for Remembering 3.11" (originally published in February 2015) on the web. 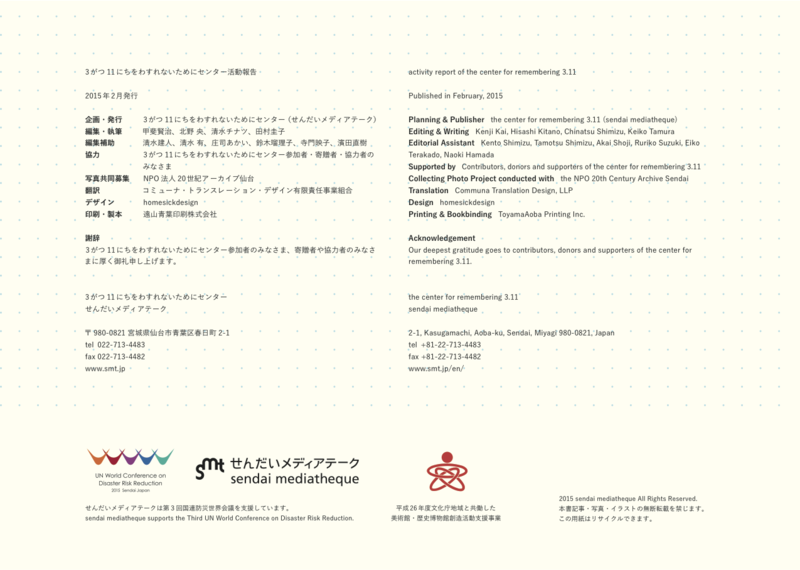 In this report, we introduced our activities and records over the four years since the Center for Remembering 3.11 opened. 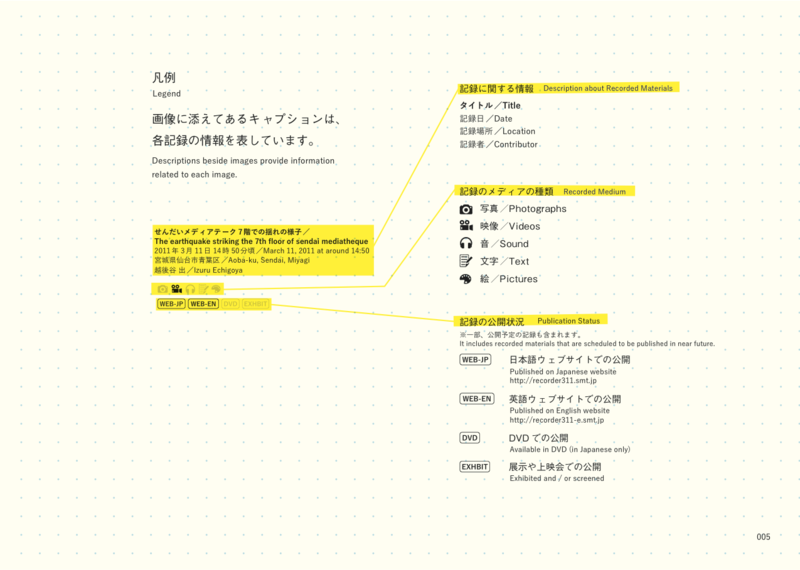 Please download the activity report of the center for remembering 3.11 (pdf / 15MB) from here. 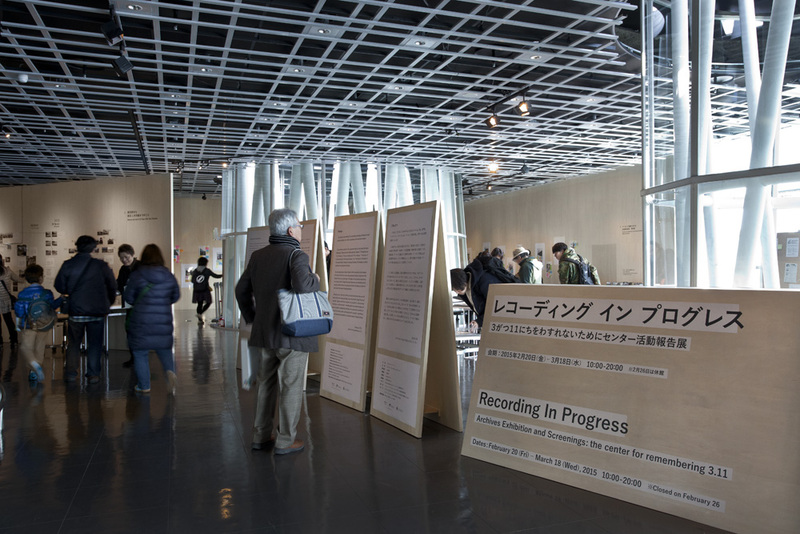 This book aims to convey images of the Great East Japan Earthquake perceived through recorded materials contributed to “the center for remembering 3.11,” as well as activity of archiving itself. 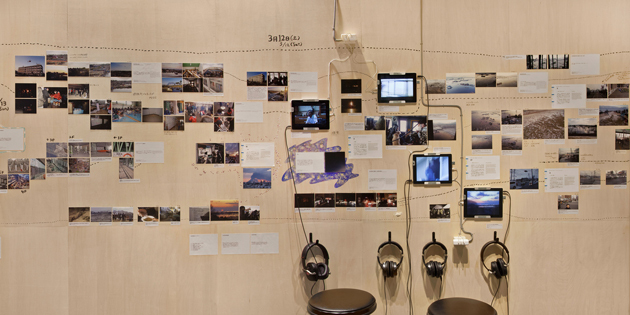 It features 45 themes in four sections, which are structured with elements such as things that can be read from recorded materials, experience gained from archiving activities and experience of going through the disasters from a variety of people. 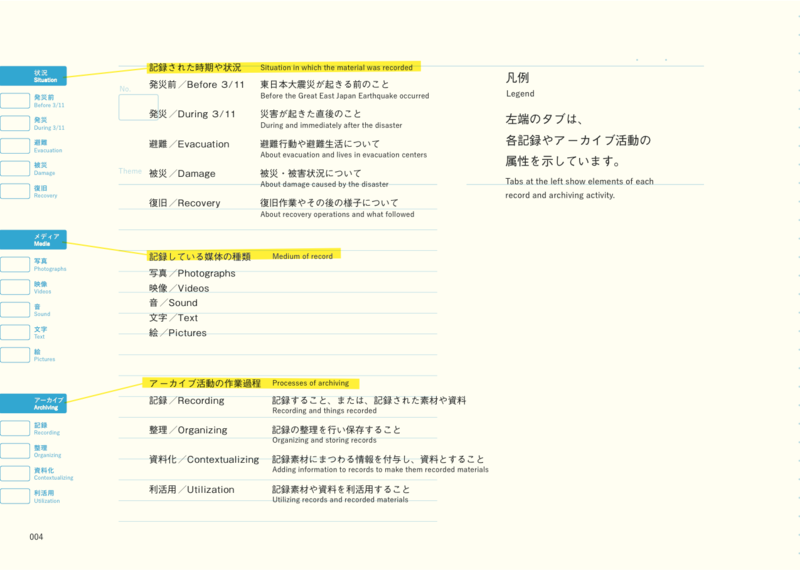 In order to convey the general outline of our archiving activities ̶recorder311, this booklet introduces selected contributions and activities we practiced. They are introduced in four sections; the first section presents them in chronological order, while the second and third sections are segmented by type of recording and content. The last section is organized along working processes of archiving activity. In the enormous scale of the Great East Japan Earthquake, what our recordings show is only a tiny fraction. Yet however small they may be, they are firsthand fragments of the disaster that each one of us have experienced, seen and heard since March 11, 2011 up to the present, as well as the achievements of their attempt to pass them down to future generations. 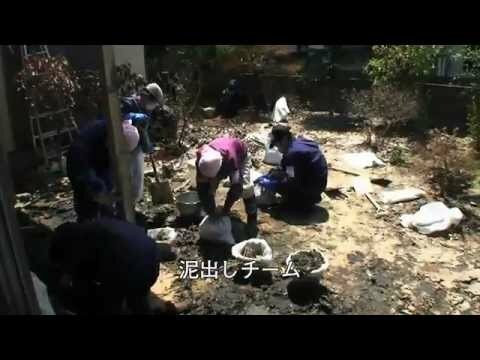 In response to the Great East Japan Earthquake, there have been many different “disaster archiving” activities, conducted by various groups in various places. As goal, concept and methodology differ from group to group, the meaning of the word “archiving” slightly differs in each activity. As for recorder311, when we speak of “archiving” we mean a series of collaborative activities that consists of “recording & collecting,” “organizing & storing,” “contextualizing,” and “utilizing,” through which our recordings activities are nurtured into “tools” to pass down the achievements to the future generations, sharing them with many different people and places. interactions with supporters, donors and audience. understanding that the core of a community archiving activity is to provide opportunities and systems with which recordings are returned to each person’s everyday life, for even though they are recordings of a disaster, they fundamentally are recordings of one’s life. That is how recorder311 has grown to an “archive” at it is now, being sustained by multi-layered and circulating people. As last year marked the 10th anniversary of the Mid Niigata Prefecture Earthquake in 2004, and January this year marked the 20th anniversary of the Great Hanshin-Awaji Earthquake in 1995, disaster archiving activities are still continuing at many places. recorder311 aims at promoting “archiving as a cultural activity” ̶something that is everyday and open to everybody ̶ pursuing its directness and urgency with you, in diverse forms. Printing & Bookbinding ToyamaAoba Printing Inc.
archive exhibition and screenings: the center for remembering 3.11 "Recording In Progress"